There is a cemetery and museum to enjoy in this location. It was built in the 12th Century B.C and has an inner and outer section that has monuments and statues for you to see. The museum gives you a great insight into ancient Greek, with some nice artefacts and plenty to see. If you fancy a change from the crowded Acropolis, then this should be a good change of pace for you. The entry fee is rather high, but you can spend hours in the cemetery and museum, so it is worth the money. Take the metro line and get off at the Kerameikos station, or you may get off at the Thissio station depending on which direction you wish to approach the cemetery from. There is a trolley route that drops you off nearby, and there are almost ten bus routes that drop you off near the cemetery. If you are going by foot, you need to follow Ermou Street up from the Monastiraki Square area. Cross Agion Asomaton Square to see the Kerameikos Cemetery entrance, which you then have to walk towards. 08:30 to 15:00 in the Winter; 08:00 to 19:30 in the Summer. The cemetery and Kerameikos museum may be closed or have restricted hours on a Monday. 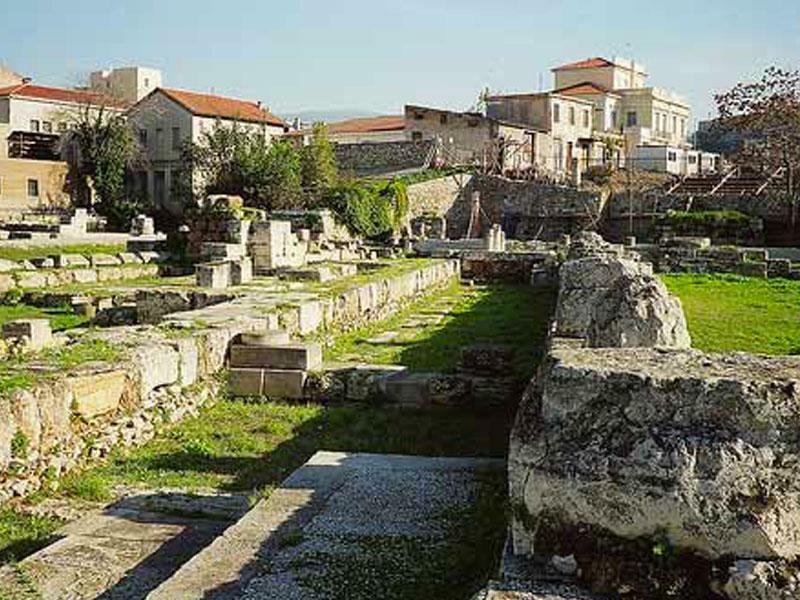 The Cemetery of Kerameikos is ideal for people that are fond of sculpture and greek artefacts. If you spend enough time there, you may even see the tortoises in the ancient river channel. Many of the stone sculptures are well preserved, though the ones in the best condition are in the museum and in buildings to help protect them from the pollution and acid rain. Try to get there early because the staff have a reputation for being rude and closing up at 14:30 (2:30pm), even in summer. You are allowed to take photos, but you may be asked to leave if you use flash photography. If you have recently seen the Acropolis and/or are getting a little tired of ruins, then leave it a few days before visiting the cemetery because it is similar to the Acropolis. Visit the cemetery if you are staying in Athens for a week. If you are just there for two or three days, then it may not be worth your while. The museum is small, but try to spend at least an hour in there because there are some exquisite pieces that you will have trouble finding anywhere else in the world.